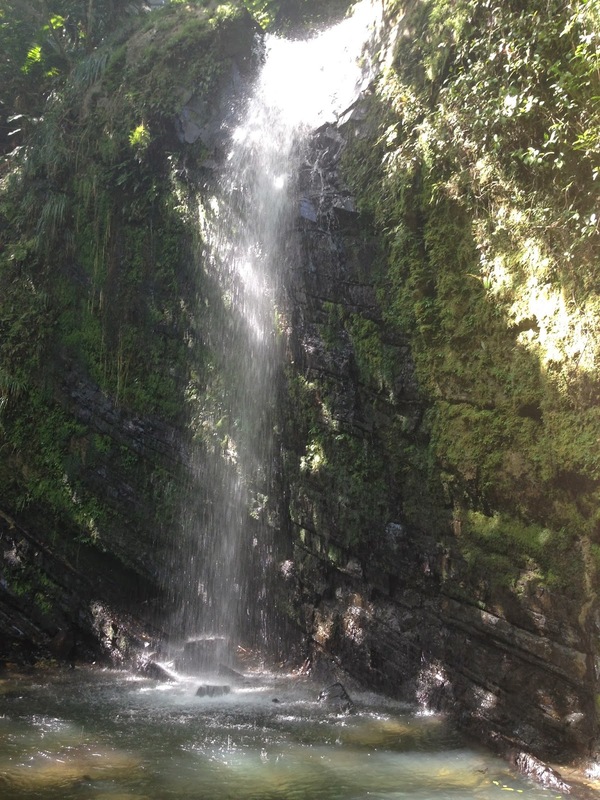 While we were in Puerto Rico we decided to take some time from relaxing on the beach to be adventurous and hike through the rain forest to beautiful waterfalls. 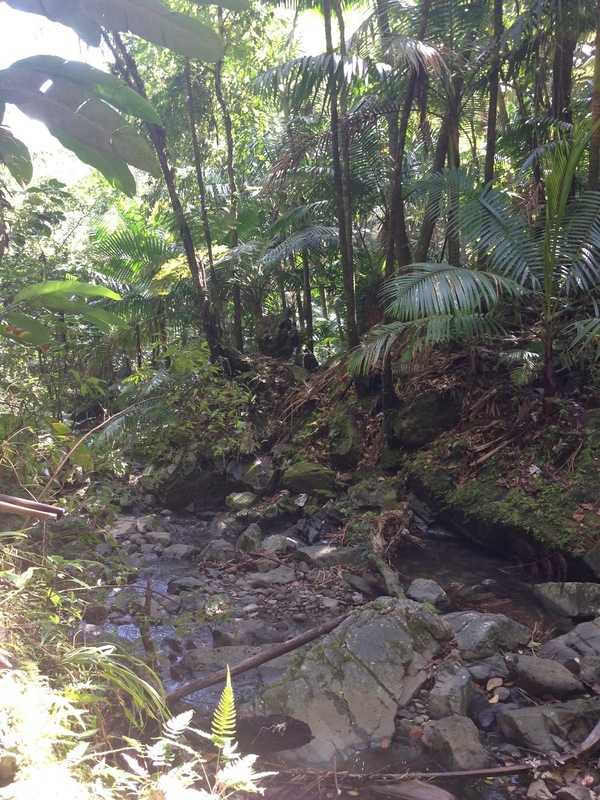 The El Yunque Rain Forest is a cool, mountainous, sub tropical rain forest on the Eastern side of the Luquillo Mountains. 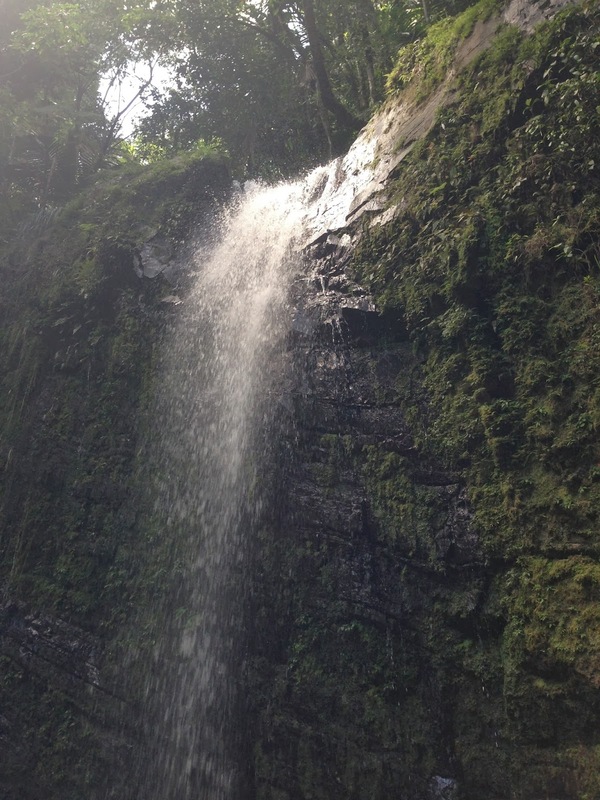 The rain forest is absolutely beautiful, and it’s a great workout hiking to the waterfalls! 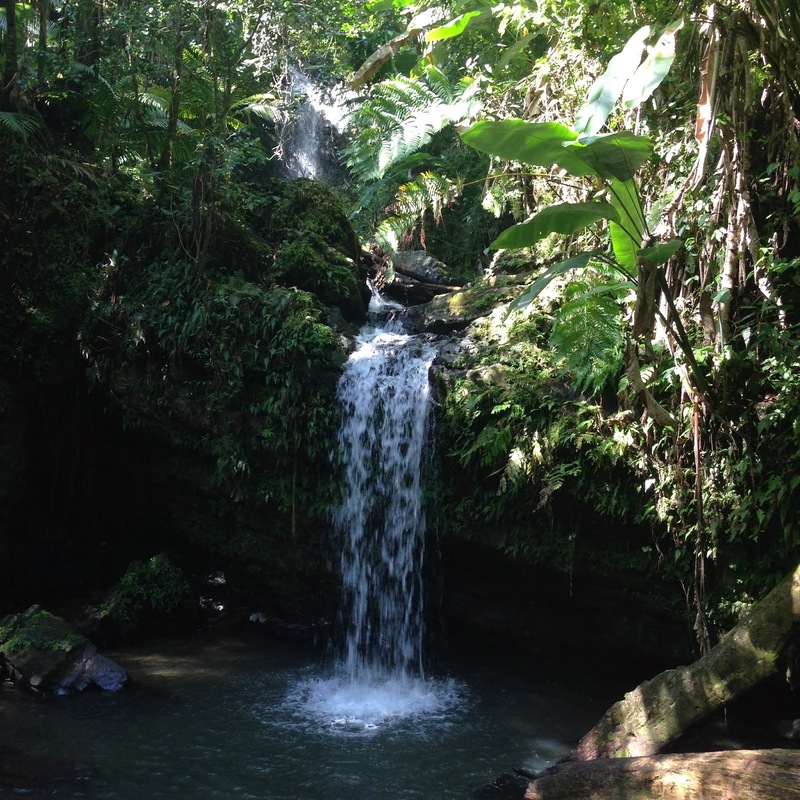 El Yunque is an excellent choice for a rain forest experience. It is a very gentle forest. There are no poisonous snakes or large animals to be afraid of. The need to protect our planet’s rain forests became more apparent as we gained a better understanding through actual experience from our fabulous local tour guide Jack. . . and the beauty was overwhelming. and serenity of the forest. The actual rain forest is at the top of the mountains; we drove to the top of the road and then hiked up to see the cloud forest. The forest is home to a number of unique plant and animal species such as the endangered Puerto Rican Parrot and the tiny coquis (indigenous tree frogs) that serenade the evening hours.